RETIRE IN STYLE BLOG: Best Senior Blog Award....A Possible Award...Me? Best Senior Blog Award....A Possible Award...Me? SeniorHomes.com has nominated Retire in Style Blog for their 2017 Best Senior Living Awards! Since 2011, SeniorHomes.com has been featuring top websites, products, and organizations that help seniors lead healthy and vibrant lives. One of the ways our site can advance is through your popular votes. There are just 6 days to vote for Retire In Style Blog. We would appreciate all the support we could get. Please take a moment and cast your vote for us here. We really appreciate your time and efforts! 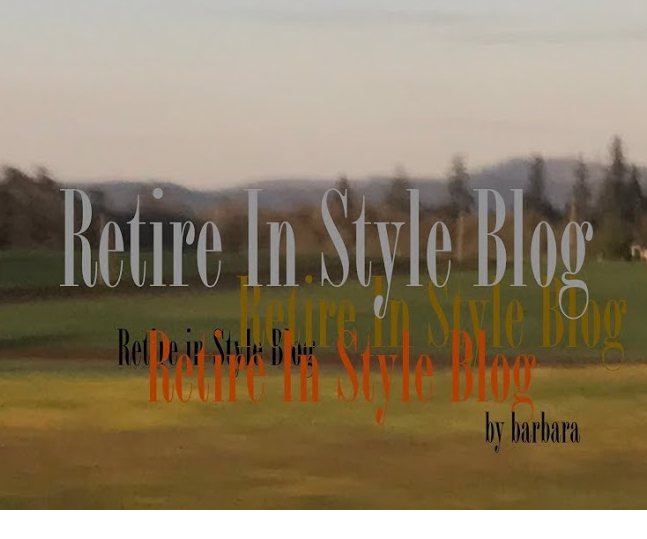 Retire In Style- In her blog, Barbara uses her own personal retirement to explore larger issues. While her posts often feature personal anecdotes, they delve into topics like global warming and the role of technology in people’s lives at the same time. Of course the contest is almost over but you can still drop by and vote for me (if you think the blog is the best). I would like that.